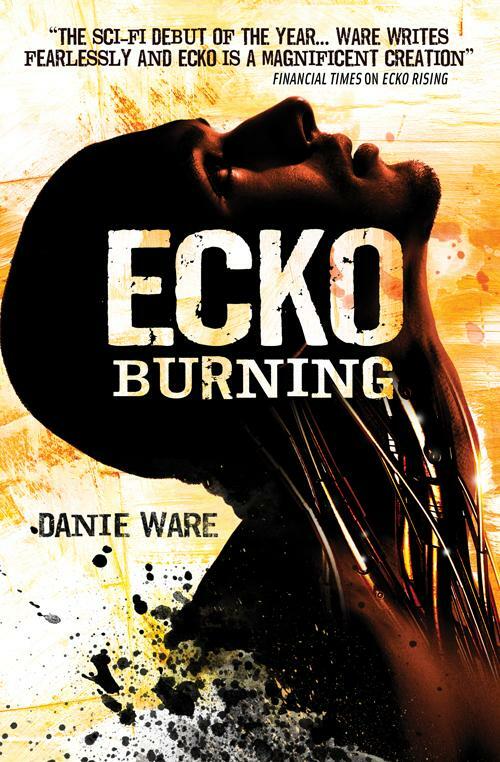 ‘Ecko Burning’ picks up after and slots neatly beside the ending of the first book, and quickly shifts into high gear, sowing plot-seeds that not only expand upon the events of the first book but also serve to add more background and ‘flesh’ to the characters introduced in the first book. The principle character, Ecko, continues to be the star of the tale, and it is in this book that we get a much deeper sense of the conflicts raging within him as well as his reactions to what is happening around him. Danie makes an interesting and dangerous choice here – to leave Ecko effectively rudderless and confused, reacting to what’s happening around him, not having a clear idea of just what is happening around him. Why is it dangerous? Well, readers of SF and Fantasy will agree that, most times, the main characters have an idea of what’s going on, what their goals are, who it is they’re fighting or struggling against. Taking a risk like can lead to a mess of a book as the characters struggle to find their place and purpose again, but it’s not what happens in this novel – Danie allows Ecko to explore, to confront, to hate, and more, which allows him to eventually make a choice that comes across as natural and unforced; and the choice leaves Ecko utterly changed, so he grows as a character, too. Ecko’s supporting cast are also put through the wringer, and there’s a great split-focus on them all. so the reader get’s that all-important look at their motivations and fears, even more so than in the first book. Plot-wise, I was damned impressed – after the conflicts that the cast had to face in Ecko Burning I was really curious as to what would happen, and I’m happy to say that not only did the action and tension escalate, but more was revealed about the world and its cultures, adding yet more layers to the considerable world-building that Danie revealed in Book 1. 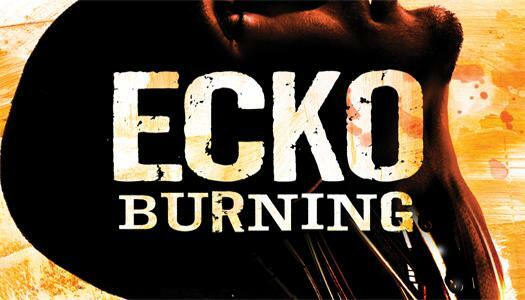 To order your copies of ‘Ecko Burning’, click here for Amazon US, here for Amazon UK, and here if you’re in South Africa. And check out Danie’s website here. Many thanks to Titan Books for supplying me with an ARC – you guys rock!